I build with coils or ropes of clay. I prefer this slow method of working and beat or scrape the surface to modify the form. 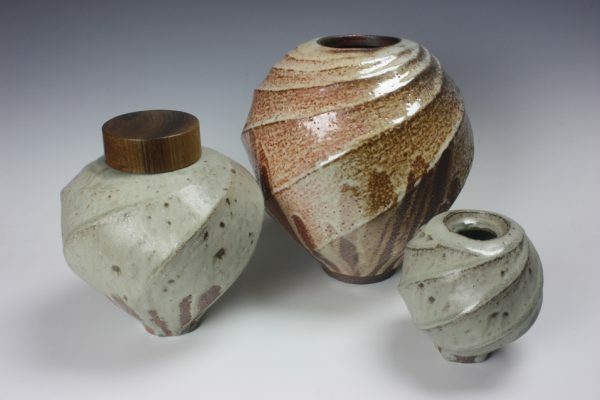 I use simple shino and ash glazes and wood fire to stoneware. The flame and wood ash gives the pots a rich and complex character. As the process dictates, each piece is highly individual and unique.